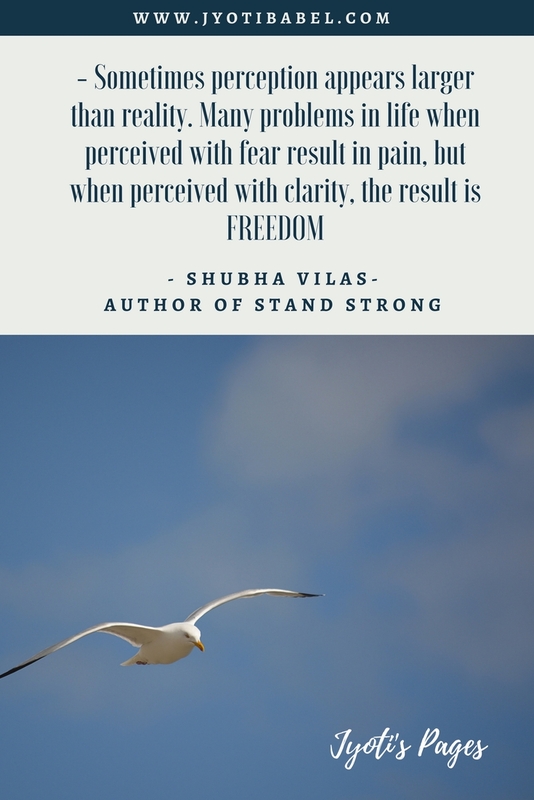 Stand Strong by Shubha Vilas is the fourth book of the Ramayana –The Game of Life Book Series. Since I have read the first 3 books of the series; I was elated when I got the opportunity to read this one. Stand Strong is a modern retelling of the Kishkindha Kand of Valmiki Ramayana - it tells us all about the events occurring in the monkey kingdom of Kishkindha. Like the previous books, this book too doesn’t just narrate the stories from Ramayana but also imparts insightful life lessons to the readers. The book is motivational, enlightening, and encouraging, all in the same breath. The story tells us in detail how Rama and Lakshmana meet Hanuman, how Rama decides to help Sugriva in dealing with his brother, the impudent monkey king Vali and how the vanara sena unite to help Rama in His mission of finding Sita. There are so many stories and anecdotes interspersed along the main storyline, each of them adding to the beauty of the prose and enhancing the reader’s experience with new perspective and learning. The main strength of the book is its narration - it is lucidly written with a simple yet vivid description of the incidences happening in the Kishkindha kingdom all of which ultimately culminate towards the invasion of Lanka – the grand kingdom ruled by the demon king Ravana. As I keep saying in all the reviews of the previous books of this series, the author has given due attention to all the characters in the epic. They are intricately sketched – each having their space and chance to shine and grab the reader’s attention. 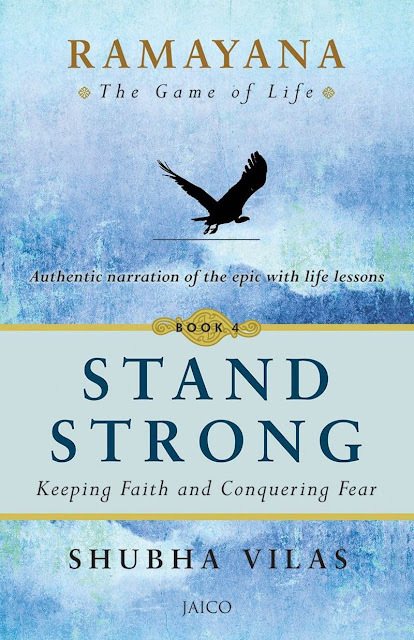 The tagline of the book says – keeping faith and conquering fear. That is also the lesson the author is trying to convey through the book. It was fear which made Sugriva feel weak and insecure - although he was not as feeble as he had started to think he was. Fear is debilitating, it clouds our thoughts and cuts our wings. Fear is the factor that limits us to make the most of our potential. If we learn to conquer our fear, we will realize that fear blows our tiny problems out of proportions and make it look huge. We will be free to chase our dreams in the truest sense, only when we keep faith and conquer fear. It is a great book for anyone who is interested in Ramayana or in Indian mythological reads. This book also offers insights into the game that is life – so if you are looking for an inspirational read, it will make a great fit. - Intelligence is about having the clarity to identify where the problem lies. - When love leads to respect, it is called admiration. When respect leads to love, it is called inspiration. - Excess fear leads to rebellion. Excess indulgence leads to disease. Excess comfort leads to lethargy. Excess power leads to arrogance. Excess of anything, however good it may seem, only tugs one towards the bad. - Sometimes perception appears larger than reality. Many problems in life when perceived with fear result in pain, but when perceived with clarity, the result is freedom. - The defining characteristic of inner stability is the ability to focus in the face of calamity. I received a free copy of the book from the author in lieu of an honest and unbiased review.